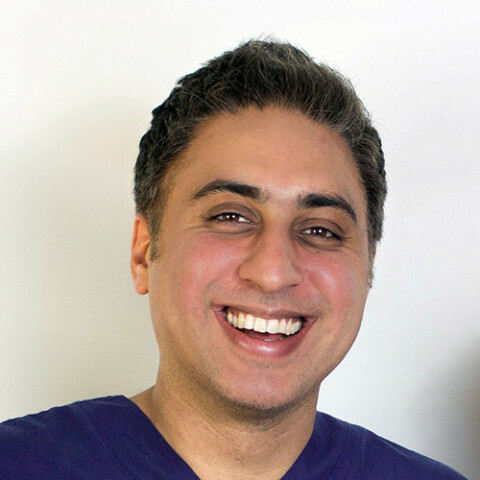 Passionate, dedicated, and extremely personable, our Award Winning Principal Dentist, Dr Anoup Nandra makes the quest for a beautiful smile both successful and fun. His love for people is matched only by his energy and enthusiasm for dentistry. Dr Nandra relishes opportunity and challenge, and he will work with unparalleled commitment to help each patient achieve his or her dental goals. Having worked in both London and Birmingham, Dr Nandra is now the principal of the Rock House Dental Practice in leafy Tettenhall, along with the Edgbaston Dental Centre in central Birmingham. Dr Nandra maintains the care of patients from many different areas. He is proud to include as his patients international sport stars along with many television celebrities. Anoup was a finalist in the 2011 “Smile Awards”, and was very proud to be the winner of “Midlands Best Young Dentist” in the 2012 Dentistry Awards. His practice was again shortlisted for “Best Practice” in 2013. In 2014, Anoup was also included in the Private Dentistry list of UK Elite 20 dentists, featuring at number 16 in the line-up. The list includes the top dentists in the UK and nationwide, and Anoup feels honoured and privileged to be included in such prestigious company! Dr Nandra is privileged to work with many master technicians and ceramists. Their collaboration over the years has produced a genuine friendship and a passion for cosmetics that is evident and unique in each and every case. Together they have partnered over the years and have created thousands of new smiles for our patients. Dr Nandra has achieved a distinction in the prestigious Diploma in Implant Dentistry at the world famous “Eastman Dental Hospital, along with a Masters in Implant Dentistry from the University of Central Lancashire. His training in cosmetic dentistry is mainly from the USA where Dr Nandra was an active member of "The American Academy of Cosmetic Dentistry". Aside from his own education, Dr Nandra enjoys teaching others having taught undergraduate dental students at the University of Birmingham for a number of years. Since 2007, Anoup has been approved as a "Vocational Trainer". This prestigious appointment requires him to help train and mentor newly qualified dentists from his practice. He is also approved as a mentor for the Association of Dental Implantology (ADI) allowing him to help and tutor dentists requesting advice and support in the field of dental implantology, and for the Society for the Advancement of Anaesthesia in Dentistry (SAAD). Dr Nandra has lectured both in the UK and internationally in the subjects of dental business management, facial aesthetics and dental implantology. Dr Nandra provides training courses and mentoring in the fields of dental implantology, facial aesthetics, and dental sedation from his practice.